I am looking to compile a list of other state k12 technology organizations. Here is a list of a couple that I know of so far. I would like to ask any of you to send me more k12 technology education groups. Name of the organization, State, Contact information of the organization. What if there were a basic literacy, beyond reading, writing, and arithmetics that we missed, or that wasn't really necessary until this moment in our history? What if that new literacy were MORE important than STEM education to the future of our children? Or if it helped rationalize STEM and SEL (social, emotional, learning) in a way that organized these two, at times mutually exclusive, threads of critical thinking? What if other countries were figuring it out and America was caught fighting over educational approaches mired in philosophies and patterns suited for the 1900s instead of the 21st century and missed the boat entirely? What if it fostered thinking so that kids could grow up to be critical, creative, collaborative, and resilient? What if you did something about it before it's too late? Speaker Bio: Mickey McManus is president, CEO, and principal of MAYA Design, Inc., a technology design and innovation lab focused on meeting the needs of people in the connected world. To maximize opportunities for innovation at the intersection of users and information, he leads a team of cognitive psychologists, ethnographers, computer scientists, mathematicians, visual and industrial designers, architects, and filmmakers. This team works with a range of clients from Fortune 500 global companies to foundations, government organizations, and startups. In 2005, Mickey spearheaded the launch of MAYA's Pervasive Computing practice, which focuses on ways to take connected experiences out of the lab and into the marketplace through smart products, services, and environments. He speaks nationally and internationally about the future of information and how it will impact humans in a massively connected world of at least a trillion nodes. Mickey holds a BFA in Industrial Design from the University of Illinois, with extended studies in communication design and mathematics. Shawn Cornally's tagline to his blog sums him up well: "Dealing with the fear of being a boring teacher." Clearly Shawn is successfully combating this fear. Blogging extensively and generating conversations among educators across the world, Shawn brings us some perspective on how the tools of today can be put to work in the classroom. Can digital learning revolutionize the American education system? Can it transform the current status quo to a student-centric one in which each student receives personalized learning according to his or her unique needs? Michael Horn explores these issues and more in his talk. Response to Interventions RtI offers students multiple levels, or tiers, of evidence-based instruction & interventions. At each tier in the framework, students receive effective, differentiated instruction. The intensity of instruction at each tier will vary depending on students' learning needs. A video explaining how it works. eTech Ohio hosts the third largest state educational technology conference in the country where more than 6,500 educational innovators gather once a year and share their successes and challenges with one another. The conference is an opportunity for educators to honestly share their experiences—what works, and what doesn't—for the benefit of their peers. ...more than 6,500 educational innovators gather once a year and share their successes and challenges with one another. The event is built by educators, for educators and offers pragmatic strategies, answers nagging questions, and shares valuable insights to address needs of college faculty, classroom teachers, and district administrators alike. The conference boasts over 500 sessions, workshops and displays that demonstrate student work, highlight new technologies and discuss 21st century skills. It is also a forum to learn more about critical initiatives impacting our state. More than 250 vendors showcase their products and services as well as conduct hands-on sessions for their clients. International and nationally-recognized keynote speakers kick-off each day and students compete onsite in various design and technology-oriented events. This conference aims to bring us all together as we tap into the best educational currents across the state and re-energize! A short animation looking at the technological and social changes that have happened in recent years, each change affects the way we interact not only with each other but the world in which we live... how do you survive and adapt? A short video on changes in technology that effect student learning. Description: Geoff Canada, of the Harlem Children's Zone talks about the danger of allowing technology to widen the gap between rich kids and poor kids and our responsiblity to ensure that this does not happen. This video helps to show you how to use Accelerated Math with in your math program. So this video talks about how to take your students to the next level in math. This site has many good resources for Michigan educators. It also has some good information for Core Content. This is an excerpt from "Nurturing the Love of Learning" produced by the American Montessori Society. It shows how Montessori education nurtures learning for children who are 3-6. It is available from www.edvid.com. Over 1,000 schools are using this DVD to educate parents. Edvid now offers schools free parent orientation video podcasts that can be posted on your school's website with DVD purchase. This is an interesting look at how technology has change our social systems. How to create a virtual desktop environment. Every year, billions of people rely on Santa and his elves to make their dreams come true. But who do they turn to when they need a hand? They turn to the People Who Get IT at CDW. CDW has hardware, software, services and solutions organizations need to address their biggest IT challenges. It might surprise parents to learn that it is not a waste of time for their teens to hang out online," says Mizuko Ito, University of California, Irvine researcher and the lead author of the most extensive U.S. study to date on teens and their use of digital media. The study showed that America's youth are developing important social and technical skills online often in ways adults do not understand or value. More information at http://www.macfound.org/dmlethnography. Inspiration what it means to be inspired. Katie Gimbar's Flipped Classroom - why it has to be me! This video is about how this teacher Flipped her classroom and why. Youube for Schools in now available in a school near you... Yes YouTube has open up an educational section to there site. So it is time to get your school filter open to adding www.YouTube.com/schools. Here is an interesting program for primary school students that helps them learn to become better writers. It also has vocabulary and spelling help built in. If you buy the full version for about $1.67 a student it also help keep track of student progress. Check it out today. Why is STEM important to students. How to engage students using STEM and experiential learning. edmodo school parent educational portal that is free! This lively RSAnimate, adapted from Dan Pink's talk at the RSA, illustrates the hidden truths behind what really motivates us at home and in the workplace. Michael Horn of Innosight Institute in Mountain View discusses how blended learning, combining online learning in a brick-and-mortar setting, will spread in California in the next decade, in a November 2011 interview with John Fensterwald, editor and co-writer of TOPed.org. In cities such as Delhi and Nairobi around the world children have a passionate desire to learn, but little opportunity. Here at home, we face problems a well: a third of kids don't finish high school, and another third graduate unprepared for college or employment. We can do better. So far when we've taken technology to schools, we've layered the technology on top of the way we've always organized schools. Educators are now shifting delivery to online learning and a blended learning approach. When we teach kids in the right way and with the right modality, they learn more per hour. Personal digital learning is the next wave in education, and will allow us to customize the learning experience, motivate students and equalize opportunities for learning. Tom Vander Ark is CEO of Open Education Solutions, an organization which provides blended learning services. He is a partner in Learn Capital, a venture capital firm investing in learning content, platforms, and services aimed at transforming educational engagement, access, and effectiveness. A prolific writer and speaker, Tom has published thousands of articles and blogs. He chairs the International Association for K-12 Online Learning (iNACOL), and serves on the board of LA's Promise and Strive for College. Tom received the Distinguished Achievement Medal. Watch the demo of the VMware View desktop running on Android platform mobile devices. Read about the new features on the VMware View Blog and download the app from the Android Marketplace. CELEBRATION OF TEACHING AND LEARNING. Watch CTL 2011 Highlights Reel on PBS. See more from CELEBRATION OF TEACHING AND LEARNING. I am not promoting the place that they list as a website. I just like the video and what it says about online learning. Great mind on educational change. how is this the same and different from our current educational systems. Android A sneak peek at Android 3.0, Honeycomb, the next version of the Android platform, designed from the ground up for devices with larger screen sizes, particularly tablets. Think different - Steve Jobs talks about the crazy ones. Think Different - Do you have students that want to go out side the box. I think this is an important step. When we want to change any thing are lives are project, what ever it is. We must speak with heart and passion. We must change our mind process and what we think. John Kotter - How Do I Start to Drive Urgency in My Organisation? Where do we start on the changes that are needed to help create high preforming schools. This is a great book that helps give us a road map to becoming successful. Change and the real challenge is changing people and the way the system works. On June 15, 2011, Michelle Rhee, Founder and CEO of Students First, spoke at Roosevelt House on education reform and creating schools of excellence. Michelle Rhee began her career as a Teach for America (TFA) corps member in a Harlem Park Community School in Baltimore City. Through her own trial and error in the classroom, she gained a tremendous respect for the hard work that teachers do every day. She also learned the lesson that would drive her mission for years to come: teachers are the most powerful driving force behind student achievement in our schools. In 1997 Ms. Rhee founded The New Teacher Project (TNTP) to bring more excellent teachers to classrooms across the country. Under her leadership TNTP became a leading organization in understanding and developing innovative solutions to the challenges of new teacher hiring. As Chief Executive Officer and President, Ms. Rhee partnered with school districts, state education agencies; non-profit organizations and unions to transform the way schools and other organizations recruit, select and train 23,000 highly qualified teachers in difficult-to-staff schools. On June 12, 2007, Mayor Adrian Fenty appointed Chancellor Rhee to lead the District of Columbia Public Schools. Under her leadership, the worst performing school district in the country became the only major city system to see double-digit growth in both their state reading and state math scores in seventh, eighth and tenth grades over three years. In 2010, she left DCPS to found her own organization - Students First - which she describes as a grassroots movement designed to mobilize parents, teachers, students, administrators, and citizens throughout country, and to channel their energy to produce meaningful results on both the local and national level. This is a collection of 2 Minute Moodles - an attempt to simplify and show how to use a range of Moodle features to a busy teacher. The tutorials try not to assume too much previous knowledge and are presented for the pragmatical and not necessarily tech-savy users (Moodle purists please excuse). They are a bit like that product I got the pun from - something quick and simple to get you going. Wolfram|Alpha is the world's first and only computational knowledge engine. This site has posted over 10,000 hits, thank you to everyone that has help to find and make this site what it is. that took over a year. We are now seeing 1,200 a month and it is growing rapidly. If you find any thing that you like on this site. Please send the link to someone else. Lets as a team enlighten the world to a new way of living. by Living Today NOW. Skype in education and how it would work. How to help students learn outside the walls of the school using technology to motivate students. Blended Learning and some stats on why it is an effective method of instruction. Here is a tool to make learning fun for your students. Flash cards and collaboration with other students. Why Teachers Should Never Give Up? This is an inspirational video on the book, “Heart of a Teacher” it is a short video with quotes out of the book. Writing importable question into Examview or Moodle. Have you ever want to bring in question into Examview or Moodle. Well here is a way to do that using a GIFT format. We are getting near 10000 page hits from around the world. The chart above shows the monthly hits at this site. As you can see from the trend line we may see us hit the next 10,000 hits in half the time if this growth continues. I started this just to have a place for me to easily get back to cool things that I found interesting in technology education on the web and YouTube. It was started as a required page for my master degree program at Central Michigan University. I found that I enjoyed finding and sharing these micro videos on educational technology and issues in education. Well I am glade that I can help share this with all of the people in the world. Please feel free to drop me a note at sharpstf@gmail.com to let me know how you have found this useful in you life in education. Please take a moment and send the link to someone that you know if you have found this site of any use to you. Here are some extraordinary moments of clarity - and often Eileen Devonshire was at the heart of this work to open the key debates needed if government policy was to keep up with the pace of innovation in schools and industry. One such contribution was to commission (from the talented folk at Magic Lantern) this short video about the future of learning: students, NQTs, wise old owls, Anthony Minghella (sadly missed), Prof Sir Magdi Yacoub, Sir Paul Smith, Sir Trevor McDonald, old archive footage, and all sorts. I got to narrate it - fab little buzz of video for professional development etc. Examview This is a great tool for creating and sharing test question with a group of teachers. It is easy after creating a bank of question and using them as you need for formative testing of students. What is Moodle and how can I use it in my classroom. With the convergence of major advances in computing hardware and software, technology is playing an increasingly important role in many aspects of society. In his speech at the University of Washington, Bill discussed important breakthroughs in computer science and engineering that have implications in education, health, and improving the lives of the world’s poorest 2 billion people. The Opportunity Ahead from bgC3 on Vimeo. Here is an interesting trend that is happening with technology in education. Bring Your Own Technology (BYOT) or Bring Your Own Device (BYOD) These trends are being seen nationally in technology surveys. The average age of a smartphone is 18 months…home computer/laptop is 48 months…the typical home computer is newer and faster than the typical school computer and that trend will not reverse. Students and teachers own better learning technology than what we can make available to them in school. With these personalized learning tools, students and teachers can be more effective learners and instructors. Concerns that it can create: · Equity (kids without computers) - the have vs. the have not · Pedagogy (instruction strategy) · Policy (AUP) language and Children's Internet Protection Act (CIPA) · Technical (no wireless access) - Adding Wifi or allowing Cell 3G or4G service · Device options (which devices to allow) - Smart Phones, Pads, Tablets, Laptops, or Nintendo DS. Schools have already have begun to allow students and teachers to bring their own technology to school. This movement presents both challenges and opportunities for the classroom. This is a trend that we will need to think about as we move forward in education. How will it change your rooms? I just want to put this out for thought and discussion. This way we can start to think about how you see it changing student learning and fitting into our systems. Over the next 12 months we will be working on updating our district technology plan. While we do that, we will want to address how this will fit into the technology plan that takes us into the future. Rick Wormeli: How Much Should Homework Count? ASCD author and Annual Conference presenter Grant Wiggins describes how encouraging feedback from his students helped him to become a better teacher. Learn more about the 2011 ASCD Annual Conference & Exhibit Show at http://www.ascd.org/annualconference. Jay McTighe on the Challenge of Learning Something New - ASCD author and Annual Conference presenter Jay McTighe describes how learning to surf helped him to gain greater empathy for students who may be facing difficulties with learning new things. 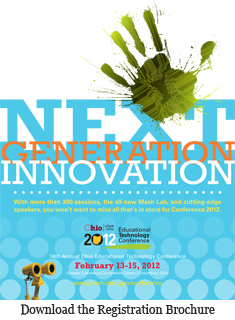 Learn more about the 2011 ASCD Annual Conference & Exhibit Show at http://www.ascd.org/annualconference. UDL At A Glance - what it is and how to use it. Free teacher resources http://www.merlot.org/merlot/index.htm This is how they describe them self. Putting Educational Innovations Into Practice Find peer reviewed online teaching and learning materials. Share advice and expertise about education with expert colleagues. Be recognized for your contributions to quality education. A reading interventions that works where other fail! Founder - Evidence-Based Literacy Instruction (EBLI) 50 In 52 Journey interview of Donna York, Nora Chahbazi, and Kathy Kujat. As a follow up to the Nora Chahbazi interview watch this video to hear how one mother used Evidence-Based Literacy Instruction (EBLI) to help her nine year old son learn to read after two years of failure to produce results by the school system, and listen to what a teacher says after a lifetime of teaching when she found EBLI and realized she never learned how to really teach reading. Real stories from real people benefiting from a new way to approach reading for children and adults who don't know how to read. Be inspired by what these people are doing in Michigan, and what you can do in your own state, your own community, your own family. Here is a sample of what EBLI looks like. Google Chrome Books from the students point of view.